Toronto is fast becoming one of the most attractive meeting and corporate event destinations in North America. 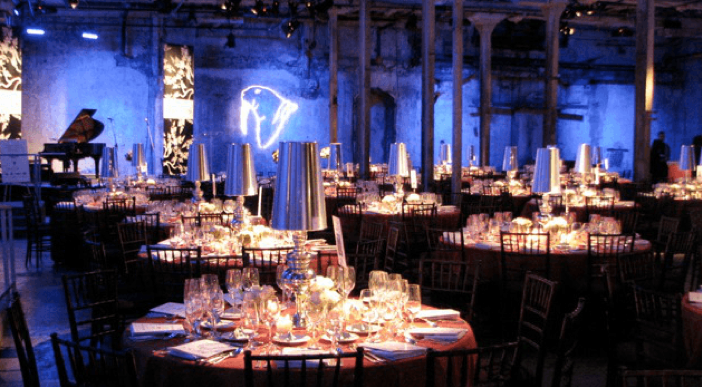 The 5thlargest city in North America and one known as the most culturally-diversified city, Toronto is now a happening place for corporate events with an edge. Here we sample a few of Toronto’s highly-desirable and sought-after venues fit for corporate events of any size and nature-from hip and trendy to elegant and traditional. 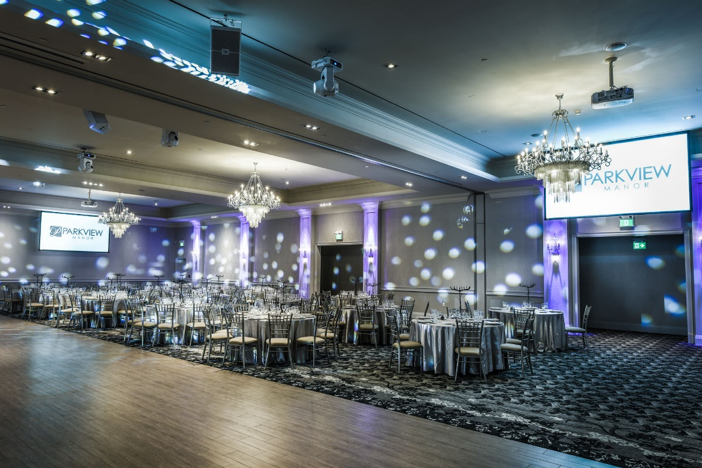 Fir for any event for 60 to 1,600 guests, Parkview Manor features transitional designs and a blank canvas that can be transformed into something more modern or sophisticated that could suit many tastes. Just a short distance from downtown, Parkview Manor can be transformed to perfectly reflect a company’s branding and unique image. 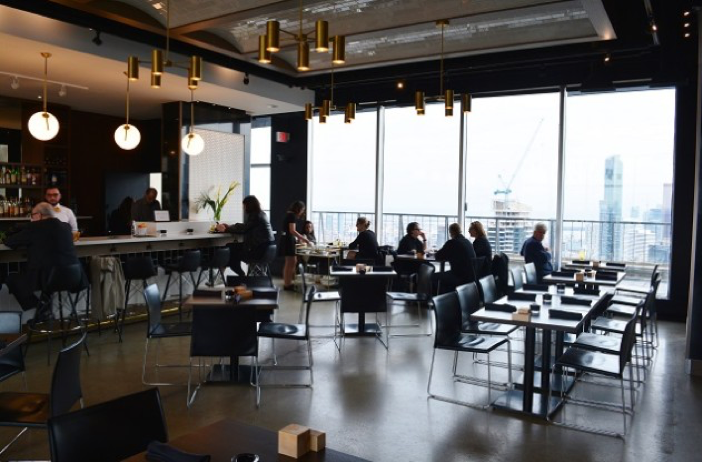 Located on the 51stfloor of the Manulife Building, the One Eighty used to be known as the Panorama Lounge. The venue’s 3,000-square foot space provides spectacular views of the City and features a showpiece bar and 21-foot high ceilings that make it a gem in the sky for corporate receptions. Located in the popular Distillery District, and first opened in 1861, the Fermenting Cellar is a 1.5-story, limestone structure. With its heavy timber beams and the original limestone walls, the Fermenting Cellar gives a distinct industrial chic vibe perfect as a hip event venue that can accommodate 200 to 600 discerning guests. Set in four acres of Mediterranean gardens, water fountains, and gazebos, the Columbus Event Centre offers something for everyone—with its variety of different rooms, its elegant ballroom or its contemporary rotunda-shaped atrium, Columbus Event Center can accommodate groups in size from 10 to 300 guests. Opened in 1930 as “Eaton’s Seventh Floor,” the Carlu was designed by French architect Jacques Carlu. After extensive renovations in 2003, the renamed space reopened as “The Carlu” event venue to every one’s praise. 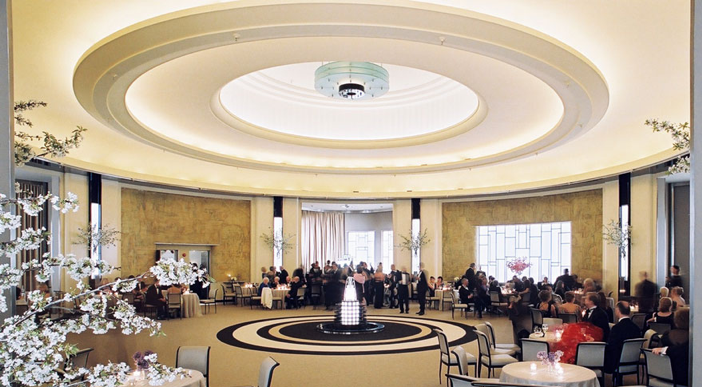 Now designated as a National Historic Site, the Carlu is one of the best examples of Art Moderne architecture. Perfect for elegant and high-profile events, the Carlu has been the choice of event planners in search of a venue fit for royalty—from product launches to milestone celebrations. 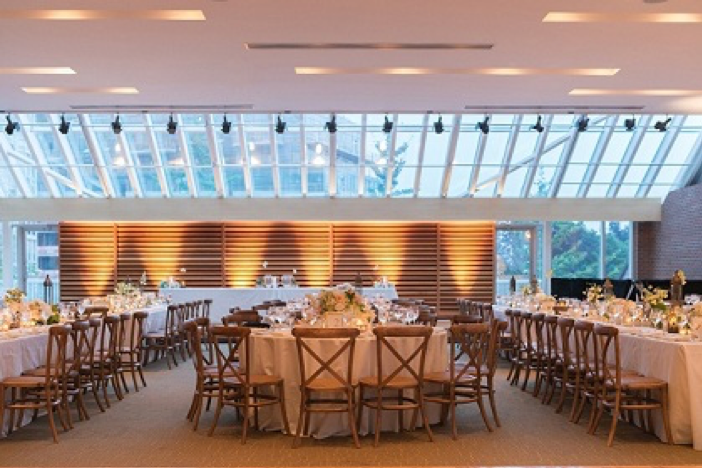 Located on the second floor of the iconic Toronto Reference Library and comprised of three smaller spaces within, this unique, contemporary, and versatile venue is ideal for any occasion. The Appel Salon can accommodate upwards of 600 guests. In a city bursting with unique art galleries, Arta comes with an appeal all its own. 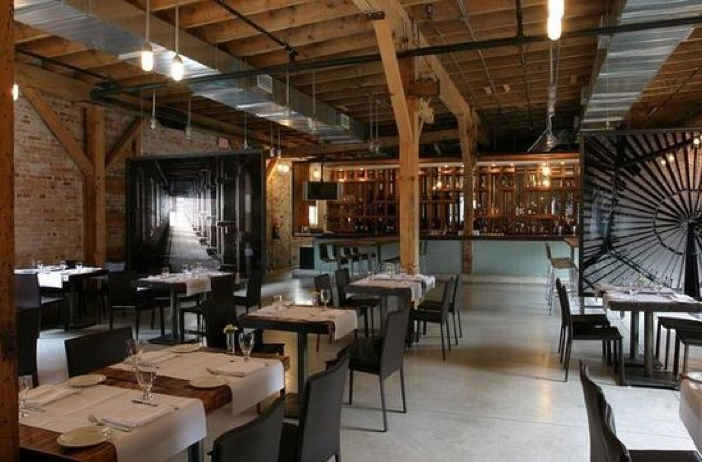 Located in the trendy Distillery District of Toronto, Arta is a very versatile event venue. Depending on seating options, the venue can accommodate in size ranging from 100 (seated) to 200 (reception). Featuring high yellow pine ceilings, concrete floors, brick walls, and creative room dividers Archeo can accommodate up to 150 guests. Located in the Distillery District, Archeo is a perfect venue for hip and trendy corporate events. Located on the 3rdfloor of the Thorton-Smith building, Aperture Room showcases a loft-style space that can fit up to 180 attendees. It features a light-grey Indiana limestone finish, 5 two-story showroom windows with stone arches, and an interior with three sky high lights, hardwood floors, brick walls, graffiti chalk-wall and a custom bar. Located in Toronto's Art and Design District, 99 Sudbury was originally a restored glass factory, a well-known after-hour club and a restaurant. With its spectacular 17-foot beamed ceilings, patio space and natural light, 99 Sudbury is comprised of three smaller spaces perfect for corporate groups of any size. For your next event in Canada’s Metropolis, let Global Management Services (GMS) take you to event venues that perfectly fit your group’s unique characters and needs.